Can Romney's Mexico ties, Spanish ads woo Latino voters? Chihuahua, Mexico (CNN) - In the town of Colonia Juarez, where houses look much like homes in the American Southwest, there lives a family named Romney. Mitt Romney's great-grandfather led the first group of Mormons to the state of Chihuahua to flee religious persecution. 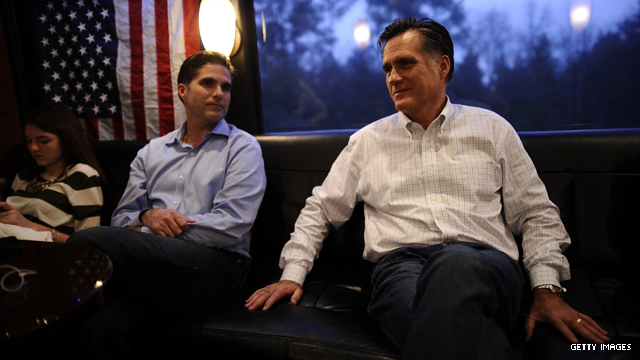 Mitt Romney's father George – an auto executive, and Michigan governor who also ran for president in the United States – was born nearby, in a town called Colonia Dublan. He left with his parents when he was only five years old, but Romney relatives still live nearby. P.S. If a child of a military service member overseas is born in Germany and spends 10 years there or in Korea or Japan does that make them German, or Korean, or Japanese???? NO it doesn't. Romney is not Latino!!!!! He's not even MEXICAN by nationality...he's rich white guy, plain and simple. Can Romney's Mexico ties, Spanish ads woo Latino voters? How about we give him to Mexico and run for office there? He can end up stashing more money in Cayman and Swiss banks!! Can't imagine any latino, voting republican. But then again why would any person that made it out of high school, vote republican?